Unmanned systems’ global inroads are including European agriculture. GNSS for precision guidance of tractors and harvesters is already in place. 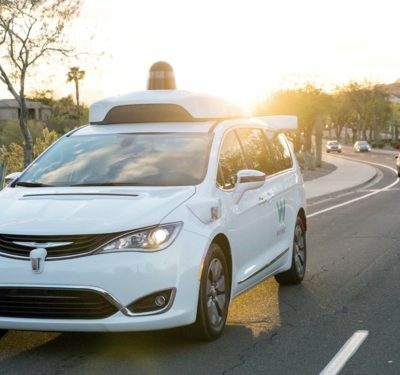 More recent innovations include fully driverless and smart systems, while drones remain poised to fly. The experience of one Dutch company is instructive. Precision Makers is an up-and- coming manufacturer of automated farm systems. The company delivers two main products. One, a conversion kit called X-Pert, turns existing mowers and tractors into driverless machines. The other is a fully robotized, unmanned vehicle called Greenbot. Both systems enable automated precision operations, but while one has been successful in terms of sales, the other has not. The typical X-Pert conversion includes a specialized front bumper, a GNSS receiver, a terminal mounted inside the cab, an emergency stop button mounted on the outside, and radar, ultrasound and/or other sensors. Precision Makers’ other main product is a fully robotic vehicle, called Greenbot. Here, uptake has not been as rapid as with the conversion kit, and the reason for this, Martinet believes, goes back to basic European agricultural realities. 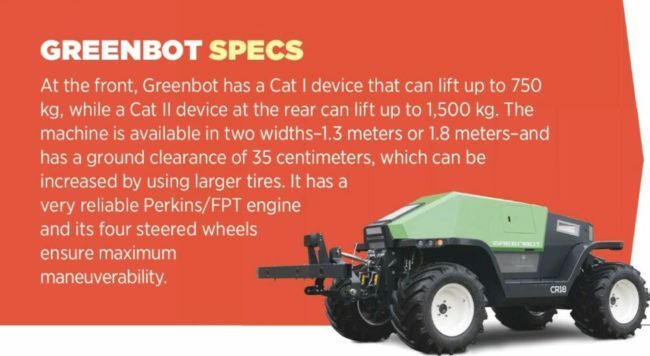 First, he described the Greenbot system: “When you look at a modern tractor, you see a lot of things that are there for the comfort of the driver: air conditioning, heating, the seat, interior lighting and displays, and you need to think about things like noise insulation. 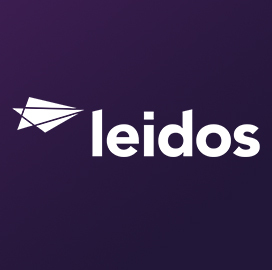 We wanted to leave out everything you don’t need if you don’t have a driver. It means you save on costs and eventually maintenance. Martinet said his customers like the Greenbot and see it as a great system for the future, but not for right now. Remember the small and separated fields that are so typical in Western Europe? “The Greenbot is modeled after a 100-horsepower tractor, which means it is about the same size as a normal car,” Martinet explained. “The difficulty is, over here, the way the fields are arranged, farmers have to drive their tractors on public roads to get from one field to the next, which might be a few kilometers. But we can’t run driverless vehicles on our roads, so a driverless system needs to be hauled around on a trailer. This is really just introducing a new logistics problem. European farmers also have their own particular way of using implements, that is the often large and complex machine elements that are attached to tractors and harvesters to do particular tasks such as planting, reaping or spraying. 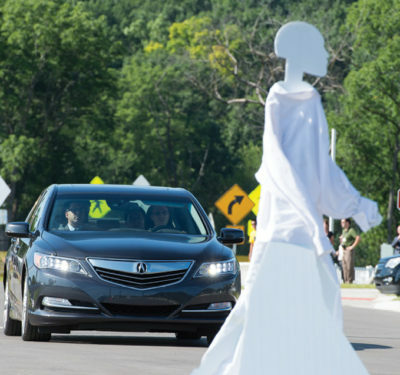 The switching of implements is time and energy-consuming in and of itself, and in the case where automated vehicles are being used, vehicle parameters, things like driving speed, the weight of the safety system, hydraulics control, all need to be reset each time for automated operations. Finally, large farms in the U.S. tend to focus on a small number of crops. In Europe, the average farm, while smaller, raises a larger number of different crops. “In the U.S., dedicated corn growers will have everything they need and farm equipment set up for growing corn. In Europe, we’re moving to a potato field tomorrow, and on to onions the next day and sugar beets the day after,” Martinet said. Martinet’s company is part of the Agricultural Industry Electronics Foundation (AEF), an international platform providing resources and know-how for the increased use of electronic and electrical systems in farming, including the development of tractor implement automation. 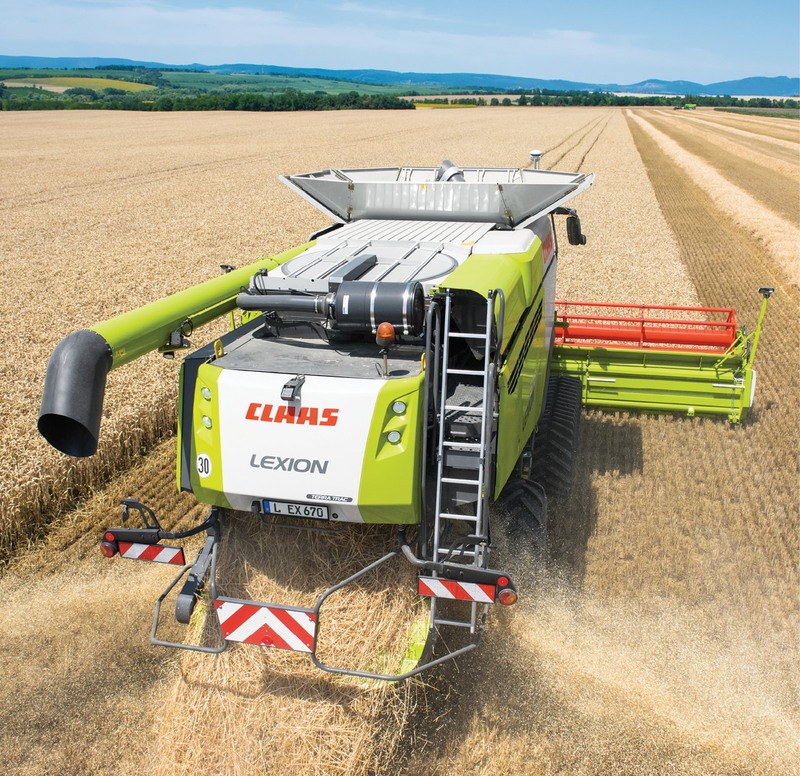 One company at the leading edge of farming automation is the European manufacturer Claas, maker of the successful Lexion combine harvester. The company’s Deputy Head of Corporate Communications Frank Berning reiterated a concern: “For us, up to now, the human operator still has a role to play, mostly for safety reasons and for moving the machine from one field to another. “On the field itself, most of our machines do work on a highly automated level. Depending on the operation, you can call that ‘nearly autonomous’. This includes machine optimization and adjustments to changing working conditions. 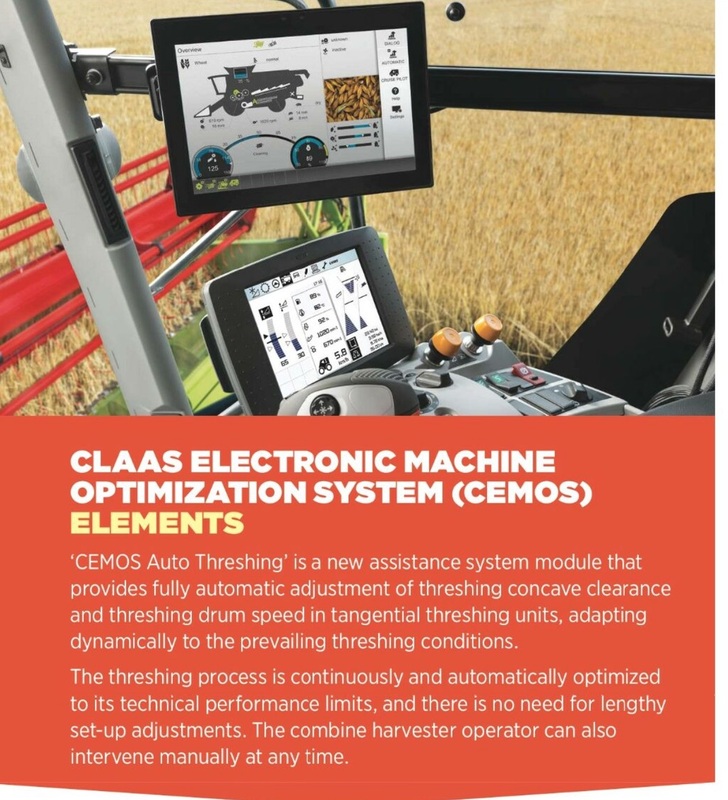 A good example is the automated threshing system used on our Lexion. Martinet at Precision Makers also said automation brings a small improvement in terms of production. 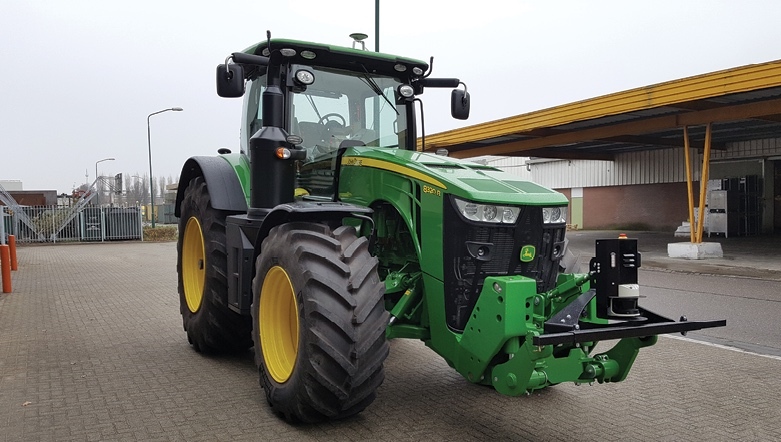 “With an automated machine you get the normal advantages of a conventional tractor fitted with autosteering and GNSS, like no overlap, no skips, etc. But of course, you save the cost of a driver, which, in Europe, is relatively high. 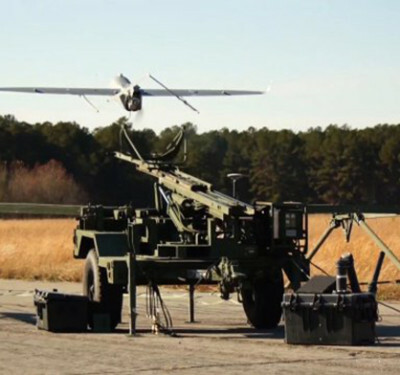 Much has been said and written about the revolution promised by unmanned aircraft systems (UAS) in the agriculture sector. And, make no mistake, there are drone-based service providers doing good business, making lots of money, in moderate numbers, all across Europe. They’re delivering highly valuable information and analyses on everything from plant numbers to ground water content to precise field measurements. What one would like to see is a drone in every barn, alongside every silo and hovering above every field. That kind of uptake could have a shattering impact on the drone manufacturing sector, engaging new waves of software developers and ultimately leading to real advances in terms of food production and environmental performance. In that world, all legal barriers removed, drones will be deeply integrated within agricultural workflows. Just as the tractor is a fundamental element in today’s agricultural production chains, drones will be necessary and indispensible. This kind of scenario is already becoming a reality in the chemicals industry, for example, where one sees a shift from missions being undertaken by outside service providers to the industry itself bringing drones into its own in-house operational procedures. We spoke to Robin Schardijn of Height Technologies, a global supplier of professional drone equipment based in Europe. He said, “To really see drones in large numbers like that, really like basic farm equipment, I think that needs a generation, because it needs a younger mind. The farmers right now, in our area, are used to working in a particular way. They are happy. While Schardijn may seem at first to paint a woeful picture, he and many of his colleagues are in fact far from fatalistic. The state of affairs must be seen as a challenge to overcome, and also as a massive opportunity to unlock.